What's left of the Chicken Madras and naan I made last night, really tasty. Got the recipe from here. (Retrospective thanks for adding the link). Nice looking Madras with tender looking pices of Chicken, also a good recipe linked don’t miss Chewys technique. Loving the naan - looks superb. I'll second Garp, good looking naan, which recipe did you use. It was my best batch yet, cooked about 5 of them., all bubbled, wish I had taken a photo of them before we ate them. I made the dough and formed them in balls about a month ago, made 11, cooked 6 on the day, then froze the rest for about 4 weeks, took them out and left for about 7 hours before cooking them. The one on the photo is from the frozen batch. Yes the chicken was very tender, I think I have worked out how to make tender every time. The chicken is pre-cooked first before adding to the madras, to do this I leave the chicken out of the fridge until it is room temperature, wash under cold water then cooking the chicken chunks in a pan with about 2 table spoons of vegetable oil, I only cook the chicken until it is about 75% cooked, then turn off the stove, leave for about 30 minutes before adding. Thanks bolinao, that would be my choice too, despite having used other recipes, with and without yeast, I personally only use H4ppy Chris's yeast free version. Can you clarify, were the naans yeast free and cooked on the stovetop, using a tava/tawa type utensil. 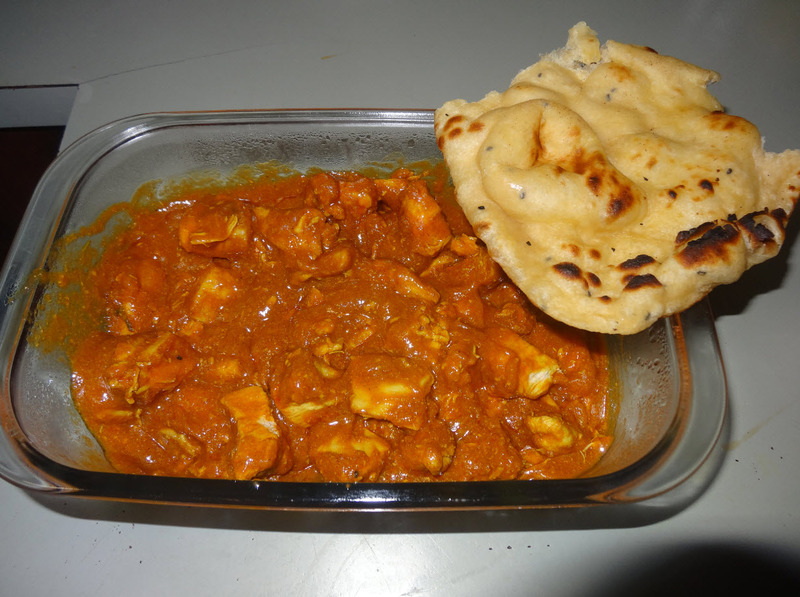 H4ppy Naan/CBM/SP Naan some of the best on the forum, but the yeast free is unbeatable for UK Bir replication. The thread/posts and feedback speak for themselves.